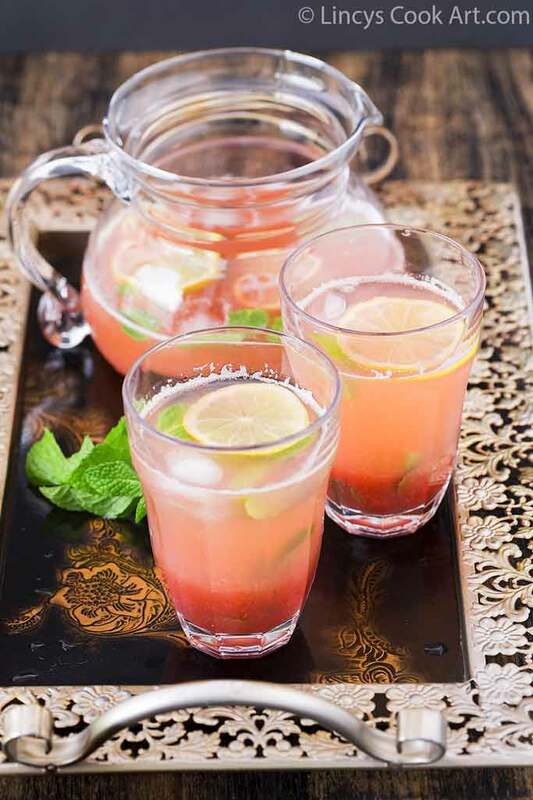 Strawberry Mojito| Strawberry Mocktail is an easy to prepare attractive cool drink for summer. Quick to make drink which includes very limited ingredients. 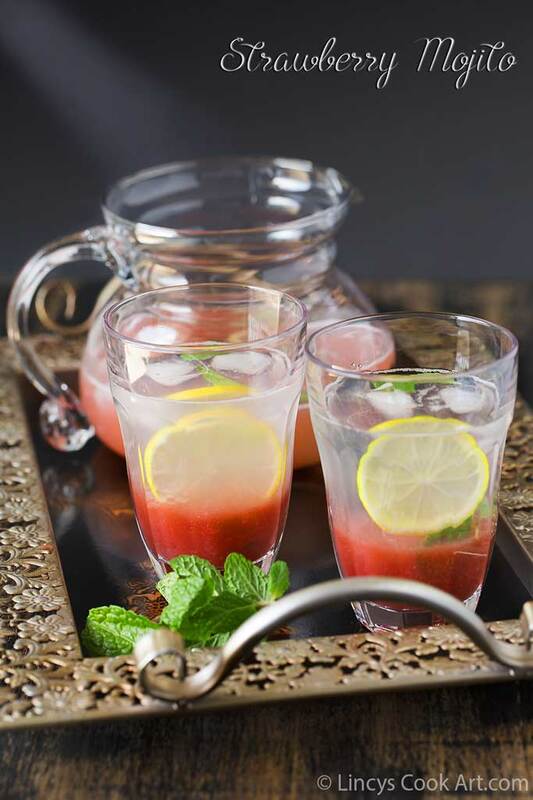 Refreshing beverage which is perfect to sip on warm summer days. I have shared many strawberry based beverages on my blog. Do tryout all those recipes during this summer and stay hydrated! Will compose a separate post only which includes only cool drink for easy reference especially for this summer season. In a mortar and pestle add the lemon wedges and mint leaves. slightly crush to release the flavour. 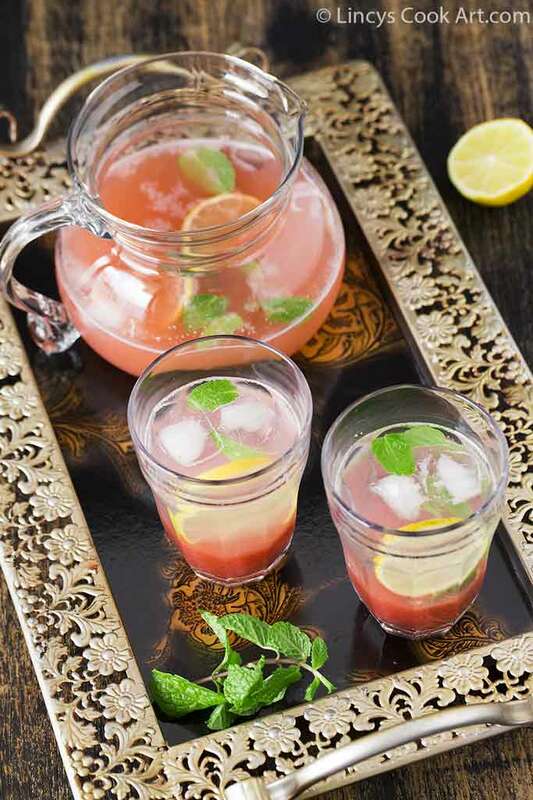 In a jug or individual glasses add the strawberry syrup and the crushed lemon and mint leaves. Fill with some ice cubes and dilute the drink with soda water. 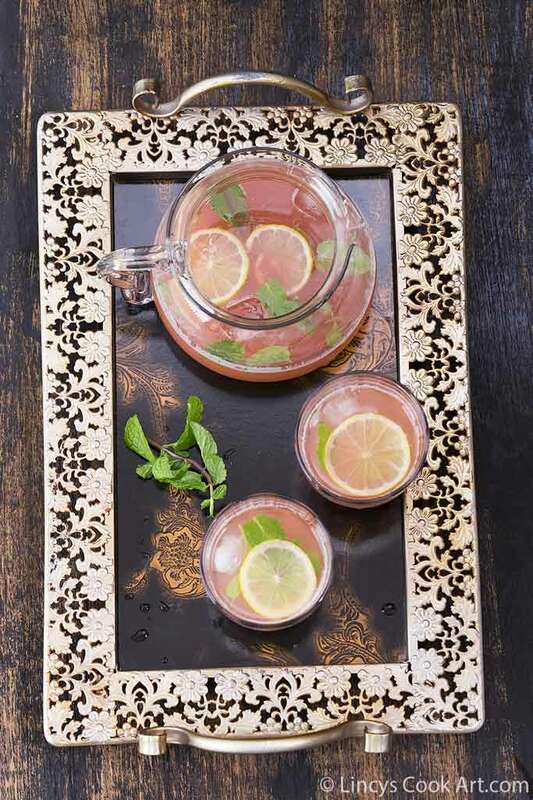 Serve with more lemon slices, strawberry pieces and mint sprigs. Note: You could use fresh strawberries too for this recipe. Puree 5-6 strawberries with 1/4 cup of sugar and use it for the recipe. 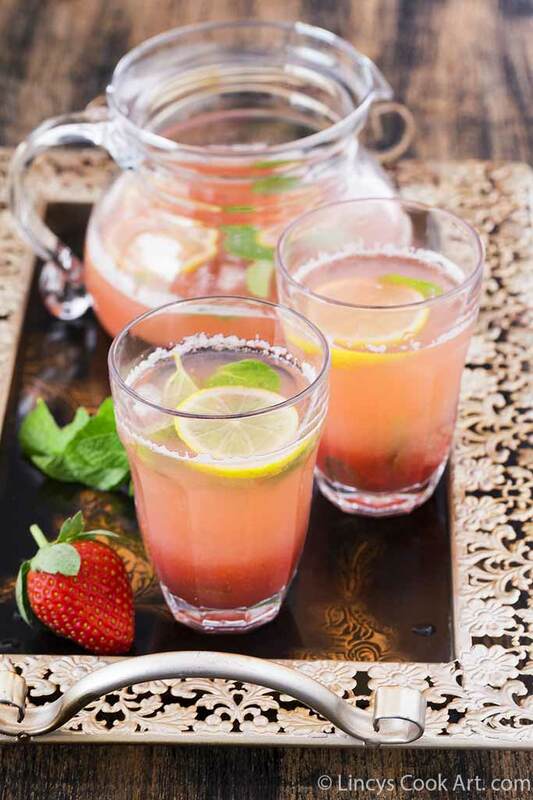 Strawberry Based Cool drinks refer the link.